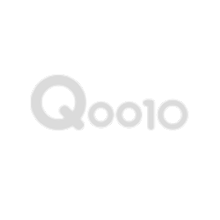 Check your Qoo10 information and receive various benefits. & At least 20 purchases & $200 total within 3 months. & At least 10 purchases & $50 total within 3 months. & At least 5 purchases & $30 total within 3 months. * Each level’s condition requirements needs to be fully met in order to qualify for a upgrade. Credit points are issued to a member when orders are made or deducted when orders are cancelled. A member’s accumulated credit points are used to determine one’s membership level. - Qoo10 member registration：5 points issued. This month's Reward * These coupons are available for two weeks. 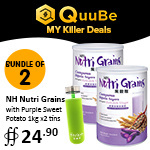 Buy Qpoint items and receive special Qpoints! You can receive Qpoint when confirm delivery and write your own review. Here is a list of current events. Q-Desk Share your shopping experiences, tips and discuss events, promotions and awesome deals all right here on our Q-Desk forum! Get the best shopping experience on Qoo10 by interacting with the kings and queens of online shopping while not forgetting to lend a helping hand to the newbies! Users are reminded to maintain proper conduct as posts and comments on the various threads will be moderated to screen for usage of improper language. Shopping Talk This is a free community on the board for service-use of Qoo10. Feel free to share information with other members and also post your thoughts on better service. Please avoid leaving a comment that contains bad terms (Please log in or sign up to comment).